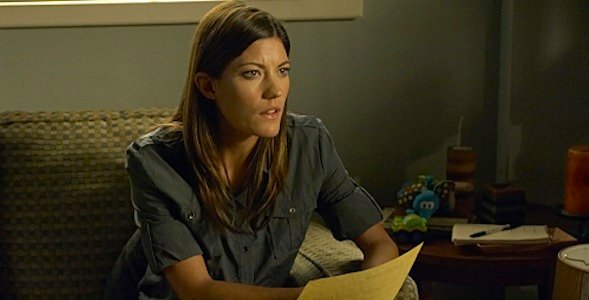 If our list of our favorite female TV characters from 2010 tells us anything, it’s that there are some truly fantastic women on TV these days! Random words to describe each of them might include: strong, funny, opinionated, vulnerable, fanged, beautiful, resourceful and intelligent. These are the female characters we couldn’t get enough of this year. Virginia Chance is a lot of things. She’s a mother, a grandmother, a granddaughter and in some ways, the glue keeping the Chance household together. Whether she’s offering her son Jimmy parenting advice or chasing after Maw Maw, she’s always on hand to help out. At the same time, being there for other people doesn’t define her character entirely. Her resilience is one of her finest traits. Others include the pride she feels for her (somewhat dysfunctional) family, her good intentions (despite occasionally offbeat methods) in the way she approaches the people she loves, and her desire to make things be the best they can be. And, she’s really funny. In a show that delivers plenty of humor and heart, Martha Plimpton adds ample quantities of both in this role. Gloria Delgado-Pritchett is a beautiful and strong woman. After all, she puts up with the oftentimes gruff Jay, patriarch of the family on ABC’s Modern Family. While most of the time the trophy wife character would play up her sexuality, while downplaying the intelligence and strength, Gloria defies the odds. She’s beautiful, knows it, but never flaunts. No, she just exists as this vibrant character. I have to believe Jay first took notice of her looks, but became enthralled with the woman. There’s also the simple fact that her accent is adorable, and she is not only unable to speak English well she also has a hard time understanding our idioms. You can’t argue with her that a doggy dog world would be more wonderful, and that it would be filled with adorable poh-pees. Bill Compton apparently has no time to help raise his babyvamp Jessica as she tries to survive. He made her, told her about how she had to learn some things, sort of helped her, and has all but abandoned the redheaded troubled vampire. Not sure if she can make things work with Hoyt because they can’t be normal, but she still loves him with that relentless vigor of a teenager in love, Jessica is unable to stop seeing the world through the eyes of a naïve young woman. This year we watched as Jessica killed a man, and unsure of what the hell to do simply stuffed him childishly away under the floorboards. As much as she flitted in and out of the narrative this season it was always doubly compelling to watch Jessica’s struggles to be both a responsible vampire and a functioning member of human society. She’s the vampire version of the audience, coming into a whole new world with nary a clue as to what’s happening. I dare say she’s doing a fine job of adjusting, considering she almost never has anyone to turn to. A lot of attention on Community goes to the boys, particularly the brilliance that is Troy and Abed (in the morning! ), the sarcasm of Jeff Winger, and the interminable hilariousness that is Pierce, but nobody should ever discount the awesomeness that is Annie, Britta and Shirley. The ladies work perfectly as individual characters, but what’s amazing about them is how they operate as a group and bounce off each other. Shirley and Britta are insecure about Annie’s age; Annie and Shirley are both freaked out by Britta’s liberalness and sexual freedom; and Annie and Britta both take offense to Shirley’s conservatism and close-mindedness – yet they’re all the best of friends. 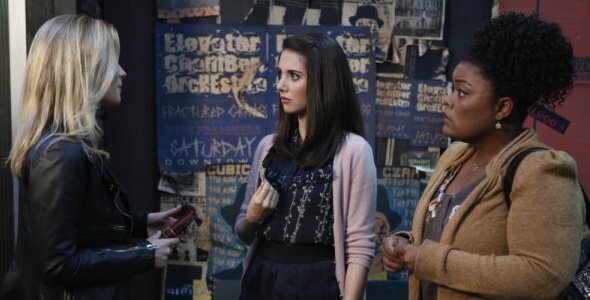 When you put together amazing performances and terrific writing like Community always does, then you’re never going to lose. As far as I’m concerned, 2010 was the year of Peggy Olsen. Or, I guess it’s slightly more apt to say that 1965 was the year of Peggy Olsen. 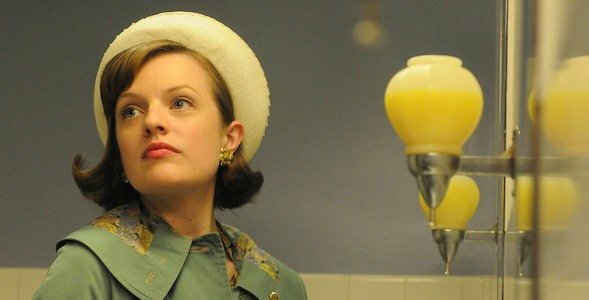 Regardless of decade, the fantastic fourth season of Mad Men saw Sterling Cooper Draper Pryce’s favorite copywriter at her best and most dynamic yet. She bonded with her mentor in “The Suitcase,” brushed elbows with free spirit Lois and beatnik Abe, told pretty-faced copywriter Joey to shove it, and --most noticeably-- shed her little girl appearance and appeared dressed and ready for her new role as SCDP power woman. 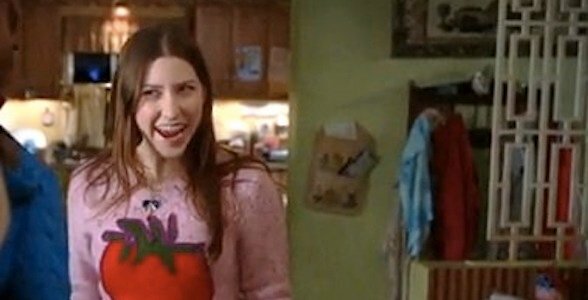 I think I love Sue because I was my own version of Sue in my earlier teen years, braces and all. She’s socially awkward, unrealistically optimistic and a modern-day Jan Brady, sandwiched between two siblings and struggling to find her identity within her family and in the world. She’s also relatively clueless in the ways of fitting in among her peers. There’s sincerity to her character as much as there is humor, which is what makes her relatable as well as hilarious. Eden Sher approaches the role fearlessly and it’s easy to see this part becoming the big jumping off point for her career. The resident Glee scene-stealer, has had a memorable 2010. She took on the music, popped Artie’s cherry and got Santa Beiste to give Artie the ability to “walk”. Brittany’s 2010 one-liners were like Funfetti sprinkled throughout Glee: deliciously funny and well-timed. And how hot were her dance moves this season? From her Sectionals dance number with Mike Chang to her choreography in “Britney/Brittany”, Brittany was clearly a maniac, maniac on the floor. Brittany’s endearing naiveté, blossoming relationship with Artie and hilarious air-headedness has made her one of our favorite TV characters of 2010. Would we describe Cathy Jamison as the female equivalent to Breaking Bad’s Walter White? On the surface, maybe. She is a high school teacher who finds her life (and her perspective) turned upside down when she learns she has cancer. Only, Cathy doesn’t turn to a life of crime in response to her disease. Instead, she tosses her husband out, cashes in her 401k and begins to see life with fresh eyes. While Cathy’s behavior might be perceived as reckless, there’s something really real about her reactions to what she’s going through and the choices she makes following her diagnosis. Like any real woman, there’s more than one dimension to Cathy and that’s what I love most about her. Well, that and I often find myself torn between laughing and crying during some of her best and worst moments. I absolutely loathe Ilithyia and that’s precisely why she made this list. She’s spoiled, self-absorbed and relatively clueless about what really matters in life. The daughter of a senator and wife to Glaber, she’s lived a charmed life and sees slaves as things, rather than people. This excludes Spartacus, whom she hates too much to dehumanize completely. I don’t know if she was more entertaining when things were going her way or when they weren’t but the more I grew to despise her, the more I looked forward to seeing what would happen next with her character. Love to hate her or hate to love her, you have to admit, she’s a scene-stealer if ever there was one. Contributing writers: Melissa Duko, Eric Eisenberg, Mikela Floyd, Kelly West, Steve West.